There are only days left until the start of the 2010 Wakeboard UK Youth Nationals. 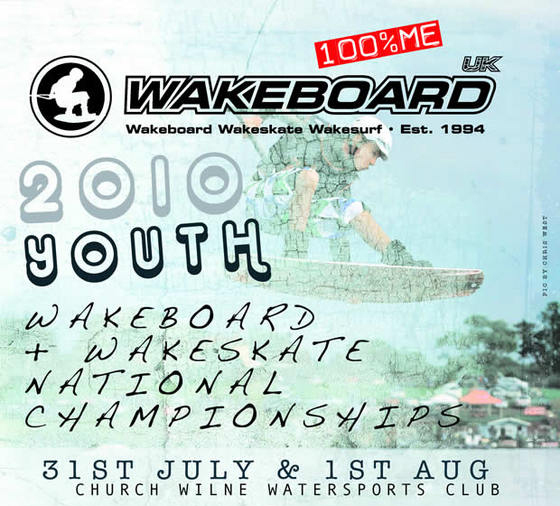 The Youth Nationals are being held on the 31st July and 1st August 2010 at Church Wilne Watersports Club. To find out more about entering or attending to watch the action visit the Official 2010 Wakeboard UK Youth Nationals Webpage. Full competition details are available on the Official 2010 Wakeboard UK Youth Nationals Webpage which will link to full results as soon as possible after the competition winners are announced at the event.